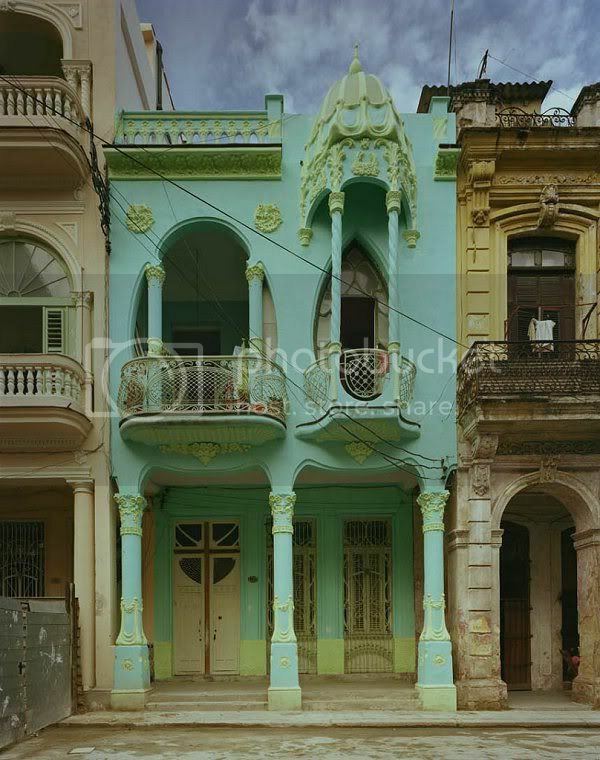 This house is a lovely example of Art Nouveau in Havana, Cuba. It was built in 1914 and recently got restorated. Last photo is from google maps. 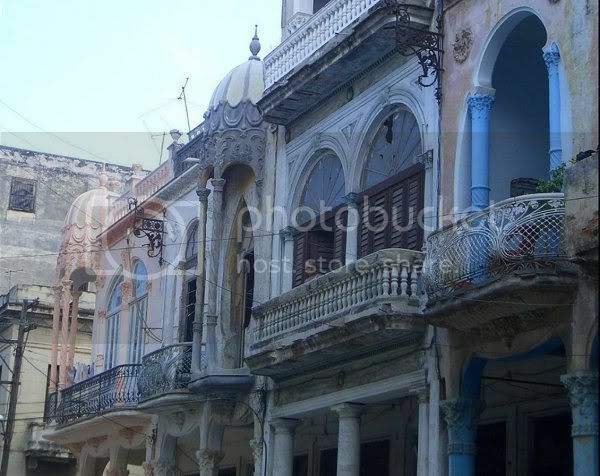 A view of the street (all the houses are so beautiful) before the restoration. The building in this post is the one on the very right. The color of this building is eye-catching! What's even more interesting is its restoration. 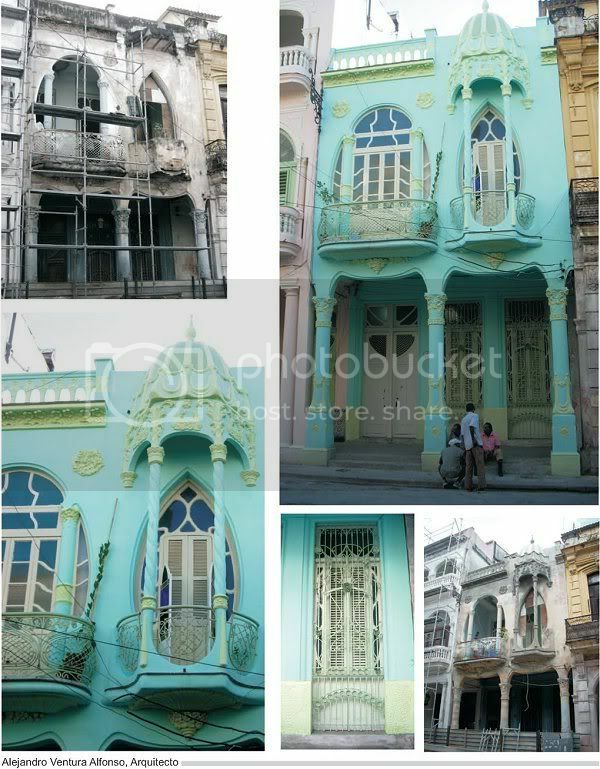 You can clearly see influences of art nouveau in different parts of Cuba, and I've also observed this on some structures in South America and Europe. Their eclectic design makes these places a sight to behold. Yeah there are numerous places to visit in cuba. My favorite places are Baracoa, Havana and Trinidad; I have already discovered fascinating culture and food over there. I hope you will also enjoy these most beautiful locations with your loved ones.